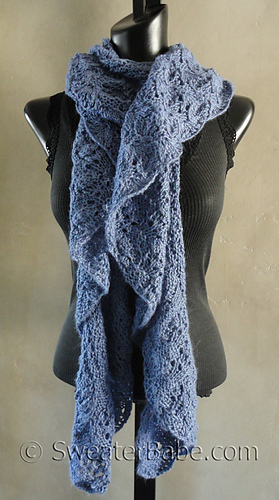 Ruffled scarves are wonderful for pretty-ing up any outfit. This one is perfect for doing just that, AND it can be worn in many chic ways to change up your look throughout the spring and summer months! 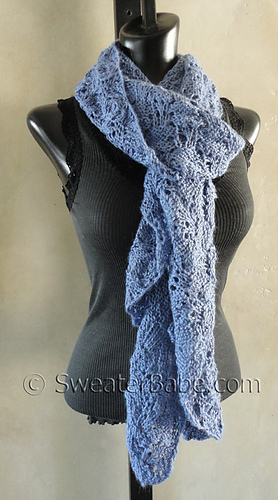 The alpaca silk yarn, knit on larger needles in a pretty lace stitch pattern, gives this scarf a very supple texture and drape. 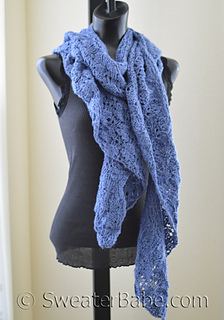 The scarf is knit in long rows in lace, then just the right amount of decreasing is done to gather the fabric and create the ideal amount of ruffling. 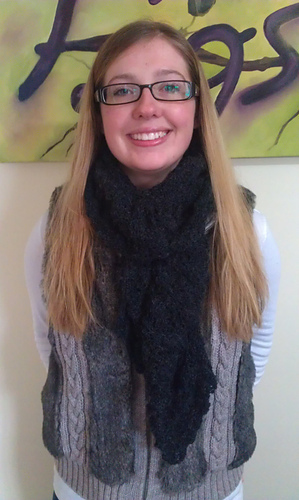 The stitch patterns on the gathered and ungathered parts were also chosen because they look good on both sides! 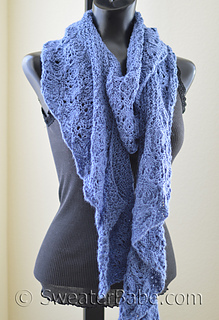 Wrap this scarf around your neck by looping it, wrapping it like a traditional scarf, tying it like a fancy woven scarf, or just letting it hang around your neck. Whichever way you choose, the ruffle will drape and fall to flatter. 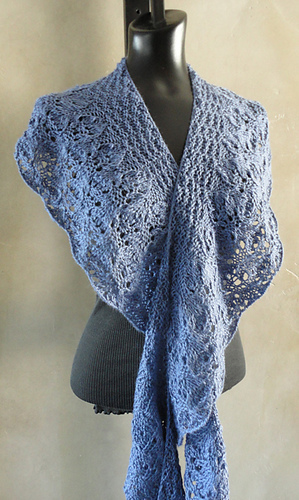 Since this scarf is knit lengthwise, you will be casting on lots (over 450) of sts and working long rows of lace! That’s why this pattern is rated as “Intermediate”. It’s a little challenging to get through the long rows, but the end result will be worth it!